I told you we picked a lot of blueberries. In fact, the tart and ice cream were attempts to use what was left AFTER all the jam. All in all I made about 14 jars worth of blueberry jam, in three different flavor combinations. I’ve realized I like to make jam much more than I like to eat jam. Attention, loved ones (you know who you are), please pretend to be surprised when you receive a box full of jam and preserves in a few months, probably more than you really want or need. Merry Christmas, I love you, now go make some toast. Of course, I’m not just going to make plain old blueberry jam (boooring!) So I sat down and gazed lovingly at my overflowing buckets and started brainstorming unique blueberry companions. These three won out in the end. Blackberry? Knock you out, good (and this black-and-blue is so much better than a bruise). Honey lavender? Like a spa treatment in a jar (also: I’m resigned to the fact that I will NEVER spell lavender right on the first try). And since I always get asked… while technically not USDA approved, these jars work perfectly fine for canning and I’ve had great success over the past two years. Marisa even wrote about them not too long ago (and if she approves, well, that’s definitive in my mind). This year I went beyond just the hexagon shape I’d used previously and also ordered some square and oval jars. They make for quite a nice variety. I love the 6 ounce size, it seems much more reasonable than a giant 8 ounce jar of jam. Since I had 3 opportunities, I decided to experiment with the pectin a bit, and used regular powdered pectin for two batches and liquid pectin for the other. In the past I’ve used low-sugar powdered pectin, so I figured I’d have all the bases covered (other than no-pectin jams which I didn’t have the patience, or enough AC, to handle at the moment). The verdict? I like regular powdered. For some reason (as evidenced in the loose-set of my peach-lavender last year), the liquid pectin doesn’t set very well. Despite following the instructions on the packet to the letter, the jam is much looser than the ones made with its powdered counterpart. Anyone else have this experience? That said, sometimes the powder sets up TOO firm for my tastes, so I’ve taken to using slightly less than the full amount. The recipes here are small-batch versions, using 1/2 a package of pectin, but if you prefer a looser set (like I do) make it more like 1/3. What I do love about added pectin jams are how (relatively) quick they are. No 30-or-more-minute-simmer required. Just boil, add the sugar, boil again for EXACTLY 1 minute, and you’re done. I always suggest following the procedure instructions on your pectin package, as different brands of pectin may have different requirements. Prepare canner and wash/sterilize 5 half-pint (or equivalent) mason jars. Keep jars in hot (not boiling) water until ready to use. For blueberry lime, place blueberries in a large, heavy-bottomed saucepan along with lime juice and zest. Further crush berries with a fork or potato masher. Whisk pectin mixture into blueberries, and cook over medium-high heat until mixture reaches a full roiling boil that cannot be stirred down. Stir in sugar, then return to a full rolling boil; boil for exactly 1 minute, stirring constantly. 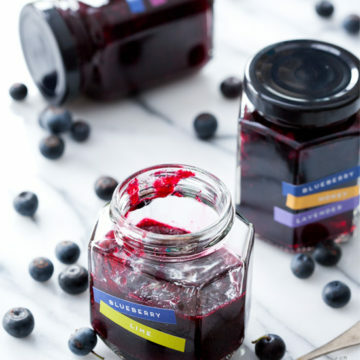 For blueberry blackberry, place berries in a large, heavy-bottomed saucepan along with lemon juice. Further crush berries with a fork or potato masher. Whisk pectin mixture into berries, and cook over medium-high heat until mixture reaches a full roiling boil that cannot be stirred down. Stir in sugar, then return to a full rolling boil; boil for exactly 1 minute, stirring constantly. For blueberry honey lavender (liquid pectin), pour boiling water over lavender. Set aside and let steep for 5 to 10 minutes, then strain and discard flowers. 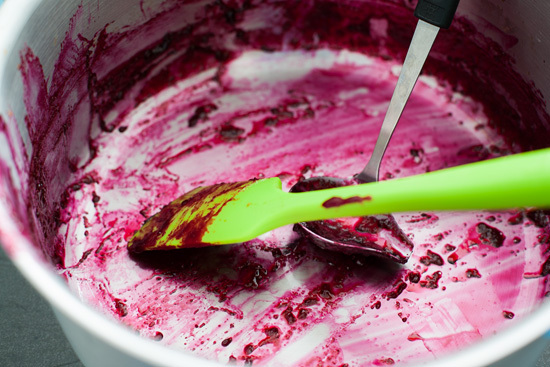 Place blueberries, sugar, honey, lemon juice, and lavender liquid in a large, heavy-bottomed saucepan. Bring to a full rolling boil over medium-high heat and boil for a full 2 minutes. Stir in liquid pectin, then return to a rolling boil that cannot be stirred down; boil for exactly 1 minute, stirring constantly. Remove saucepan from heat and skim off any foam. Ladle hot jam into jars, leaving 1/4-inch of headspace. Wipe jar rims and threads. Screw on lids and rings. Process in a boiling water bath for 10 minutes. Remove from water and let cool completely, 12 to 24 hours. Check seals. Any unsealed jars should be refrigerated and used within 3 weeks. 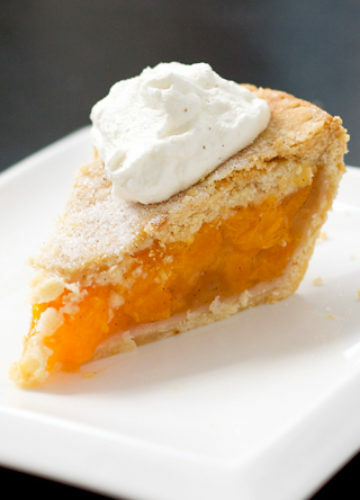 Adapted from Ball Complete Book of Home Preserving and Small-Batch Preserving. I wish I had more blueberries left from our picking, love these jams! We’re making a blueberry cobbler for dessert tomorrow evening, and then our picking will be about gone. 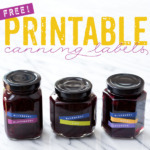 Love your labeling, so fun! And those jars, I need to look up! blueberry honey lavender sounds amazing! would love to slather that on some waffles (plus butter, plus syrup! lol) right now! Sweet… I love anything blueberry. I am going to make the lavender one… great idea! Where did you get the cute labels? 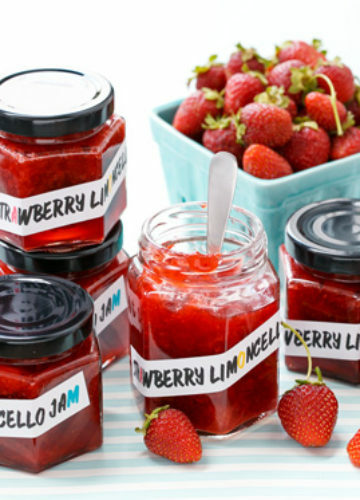 These jams look fabulous. Have finished up all my picked blueberries, so, maybe next year……..
Oh I am so glad you posted this!! I have been unusually obsessed with blueberries this year and last year, after my first try at canning, have been equally obsessed with “putting up” seasonal treats. I was planning on a Blueberry Basil jam, but now I can’t wait to try the Blueberry Lavender! What an awesome combo!! I had a suggestion for adding basil to blueberry jam in my recipe book. I tried it and absolutely love it! YUM! These all sound amazing, but I’m especially intrigued by the blueberry honey lavender. Also, those jars are too cute. Darn it! I never spell lavender right either! The lavender honey idea sounds just lovely. 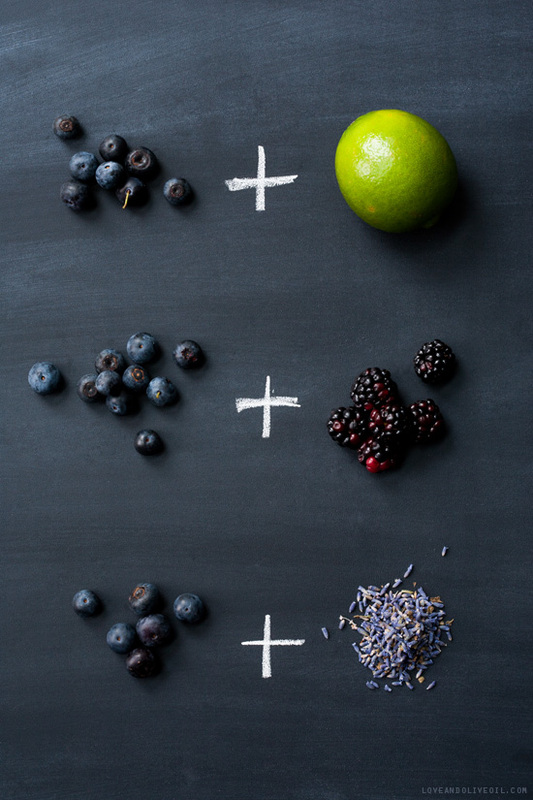 I’m a sucker for lime though…and blackberries…ok so I love them all! Can you please tell is where you ordered the jars from? The links are in the post. Just click on the word of the shape you want (hexagon, square, or oval). Beautiful blueberry jams, Lindsay! I like your labels, too, and will definitely check in for your post tomorrow. 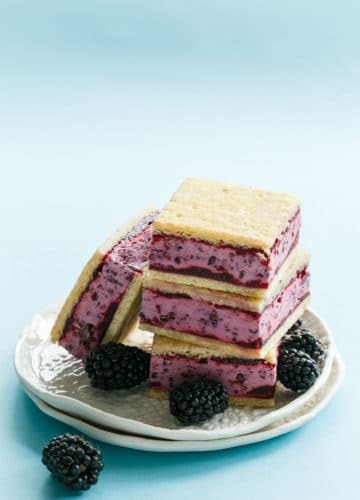 Love the blackberry combo as well as the lavender and honey. Just imagine Blueberry Huckleberry Jam, too! Hey Lindsay, these look fabulous. Thanks for the link to ordering jars by the way. I wanted some glass jars with sealable lids that were short and wide mouth and I found them on your suggested site…they are ordered and on the way to me this very minute…I have lots of fruit left from photo shoots that I hope will last until they arrive and then I am starting my own “jam session”. Great recipes and photos as always. The honey lavender would be uh-mazing over goat cheese. With bread. And wine. And now I’m hungry. 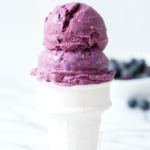 I love your blueberry combinations! They all sound amazing. I have been trying to lay off the jam. I eat it in my morning yogurt, I eat it on muffins / toast (the usual suspects), I eat it in cottege cheese for snack…it’s a problem. I have yet to try canning, but you REALLY make me want to try it!! All of these sounds awesome, but I think the blueberry lime is a must try for me!! And just as I was about to head to the kitchen to do some preserving with the bucket of blueberries I picked up… I might just have to change my mind and make the blueberry + blackberry instead. OMG! The Blueberry Lime is calling my name! I love all three. They sound so fabulous!! They all look and sound insanely good, but I am all about the blueberry lime! Looks so good! Nice, I love that photos, that jam looking on these spectacular! I will totally buy jam from you if you need to unload more! I’d love to try the lavender version :) they all sound lovely! Did you notice that Ball is now putting out their powdered pectins in jars? They call it “Flex Batch” – I guess they FINALLY caught on to the small-batch-preserving thing! 1 package Ball Original pectin = 6 Tb Classic Pectin, 1 package Ball “No Sugar Needed” = 3 Tbsp “Low Or No Sugar Needed” pectin. And despite manufacturers’ arguments otherwise, 1 pouch liquid pectin can very often be substituted with 3 Tbsp dry Ball Classic pectin (or 1/2 package Ball Original pectin). I go back and forth between Ball and Pomona’s, depending on the recipe. Oh man, I totally get you on loving to make jam more than loving to eat it. I started canning last summer, and went a bit overboard this summer, but I just can pass by all the gorgeous fruit at the market! 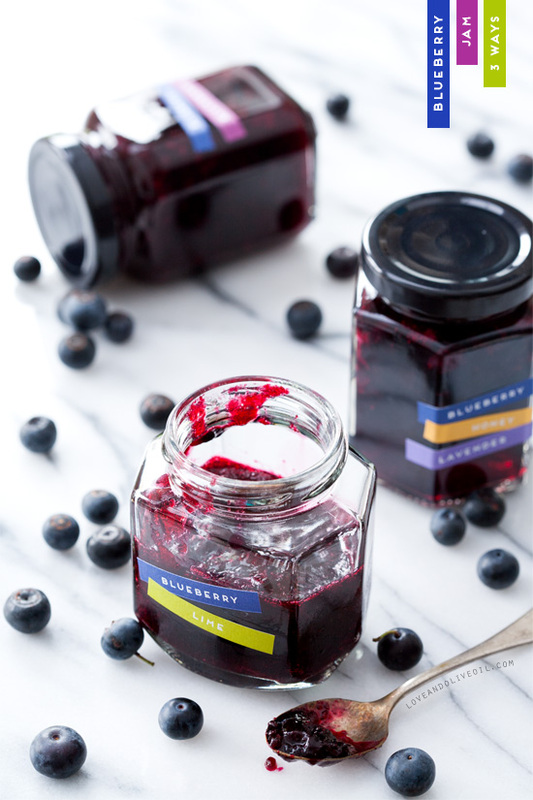 Blueberry was one of my favorite types of jam this year (didn’t make it last year)–I love how it sets even without pectin and how well it goes with so many flavors. I made blueberry-lavender, blueberry-blackberry, and blueberry-orange-mint (with orange mint, orange zest, and cointreau). That last variation may not be making it out of the house though! I made the blueberry lavender jam. it seemed to turn out very sweet, too sweet for my liking. are there any suggestions as to what to do with the 6 jars of jams? also maybe adding less sugar? 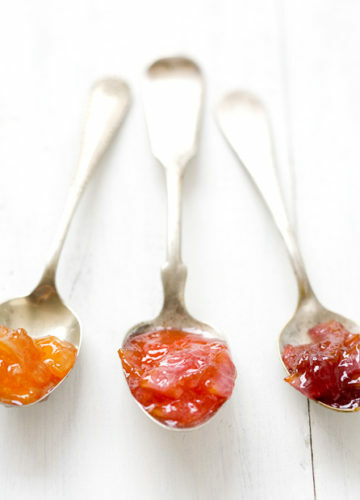 Jams are very sweet by nature, since standard pectin requires a very specific amount of sugar to acheive a jam-like consistency. If you want to do a lower sugar version you’ll need special low-sugar pectin (which uses calcium to acheive the set instead of sugar). Thank you Lindsay! I used low sugar pectin and only used 1/2 the pack. the batch came out less sweet and very delicious. Did you use liquid pectin? Over the last few years I’ve had increasing trouble getting liquid pectin to set, despite following the instructions to a T. This year I’ve been canning exclusively with Pomona’s Universal Pectin, which doesn’t rely on the sugar to set so you can reduce the amount of sugar used in the recipes without affecting the outcome. If you’re having trouble with the liquid stuff I might recommend giving Pomona’s a try! How many grams is in a bag of pectin you use? I am in the process of making blood orange marmalade and want to use the hexagon jar. The hex jars have buttons on the lids that will ‘pop’ just like standard 2-piece lids (though it usually takes a bit longer). You’ll be able to clearly see if a button is not properly popped. What is the label maker you are using for such great simplistic labels? nevermind, I found your label post. 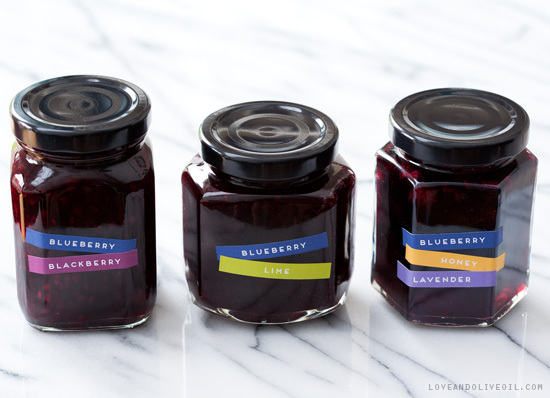 This was my first time making any jam and every one I gave it to, loved it ( I made the lavender honey blueberry one). Thanks so much for posting this! USDA approved is a joke IMO. They approve all kinds of crappy food and yet hum and haw about home canned goods! That tells me something about the USDA!! More government bureaucratic nonsense. Pomona’s pectin is the best. Hardly need any sugar. I won’t go back to regular pectin.